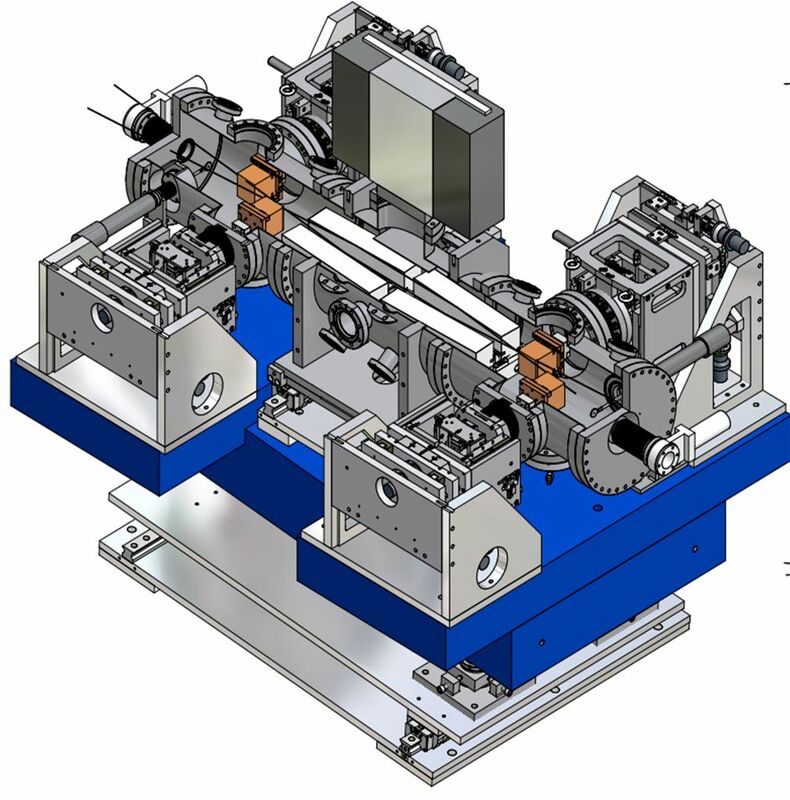 At BL2, a grazing incidence split-and-delay unit, which was developed and built in a collaboration of HZB, Universität Münster, and DESY, is incorporated into the beamline to facilitate XUV-XUV pump-probe experiments. The device consists of eight mirrors under 6° grazing incidence which are positioned in a ultrahigh vacuum (UHV) chamber. A delay of -5 ps– +20 ps can be realized in this instrument with a 1 fs stability/reproducibility. The complete instrument can be shifted under vacuum to open a clear path through it, in case BL2 is to be used without the autocorrelator. 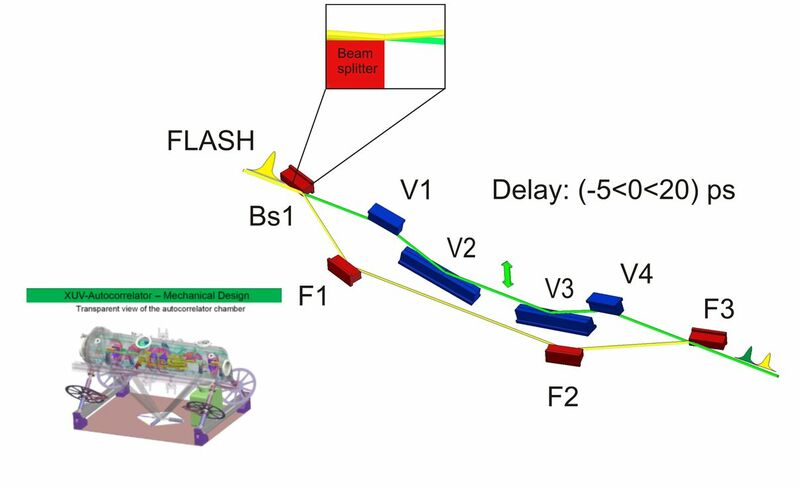 At the plane grating monochromator beamline PG2, a Mach-Zehnder type autocorrelator has been developed by the Universität Hamburg and implemented as a XUV split-and-delay line. The device is able to split the pulses and delay them up to ±5.1 ps with a stability in the 200 attosecond range. Both delay arms include an intensity monitor system to measure the beam splitting ratio online. A filter unit in the arms of the delay-line allows a choice of harmonics and thus two-colour XUV-XUV pump-probe experiments.